Andhra Pradesh Chief Minister N Chandrababu Naidu on Monday met with a slew of South Korean business leaders and invited them to invest in the state. During his meeting with Hwang Chul-joo, CEO of Jusung Engineering, Naidu invited the company to set up a Research & Development unit in Andhra Pradesh. The company plans to establish a solar power plant with a capacity of 100 giga watts in India. They are also developing the next generation of LED bulbs, called OLED. He assured them of all support. Jusung Engineering has solar power plants all over India (New Delhi, Kolkata, Mumbai, Hyderabad, Bengaluru and Coimbatore, with a combined capacity of 3.6GW. His next meeting was with Kim Daehoon, CEO of Iritech. The organization supplies iris-based biometrics software and hardware solutions for identity assurance in the fields of security and safety. The Chief Minister explained all the initiatives with high level technology being implemented in Andhra Pradesh">Andhra Pradesh, including sensors, Internet of Things, drones, cloud and more. He also spoke about the Bhudhaar system, introduced for identification and record of land transactions. Daehoon agreed to come to Andhra Pradesh">Andhra Pradesh in the second week of December, and discuss the plan ahead. For a lunch meeting, the Chief Minister met with the CEO and President of Lotte Corp., Kag-Gyu Hwang and Executive Vice President Lim, Byung Yun. The Chief Minister explained all the investment opportunities of AP, the growth potential and the development project of the capital city, Amaravati. He said that Andhra's strength lies in the agriculture, horticulture and allied sectors. He urged the Hwang to come to AP, as it has enterprising people, a huge market, a skilled younger generation and is a peaceful state. A joint working group will be set up with representatives of the AP government and Lotte Group to explore the possibilities of cooperation. Lotte Corp. is South Korea's eighth largest business conglomerate, and is engaged in diverse industries like candy manufacturing, beverages, hotels, fast food, retail, financial services, heavy chemicals, electronics, IT, construction, publishing, & entertainment. They also have a strong presence in India near Chennai, Kolkata and Delhi. The next meeting was with J. J. Hong, Founder CEO of Kokam, which is one of the world's leading battery manufacturers. Kokam is currently working on a battery which does not die, which will be a major breakthrough. The Chief Minister also met with Ms. Stephanie Cho, Executive Vice President of Hansol Chemicals and Genebok Kim, General Manager. The company is engaged in manufacturing, supply and distribution of chemical products including hydrogen peroxide, polyacrylamide, SG and BPO. They manufacture chemicals to purify water and paints that are used in smartphones. Ms. Cho said Hansol Chemicals considers India as a potential maker, and is keen to explore possibilities in India. The next meeting was with Lim Byung-Yong, President of Gran Seoul Engineering & Construction. Others present from GS were Executive Vice Presidents Tae-Jin Kim and Yoon Hong Huh, Senior Vice President Lim Chong-Min and General Manager Ryan Jeon. GS E&C is a South Korean conglomerate company involved in the exploration and production of electric and gas utilities, cathode and anode materials for rechargeable batteries and engineering and construction projects. They are also engaged in the sports sector, making stadiums for the training of athletes. They have presence in Africa and South America, and have offices in Mumbai and Delhi. The Chief Minister urged to explore opportunities in the development of Amaravati Sports City, and in roads, bridges and other infrastructure projects in the state. The next meeting was with a delegation led by Mr. Simon Kwak. Y. Kim, an adjunct professor to India Studies at Hankook University of Foreign Studies, and MD of BTN Co. Ltd., presented a proposal for the development of the 1st Local-friendly Sustainable Integrated Smart City in India in Anantapur. 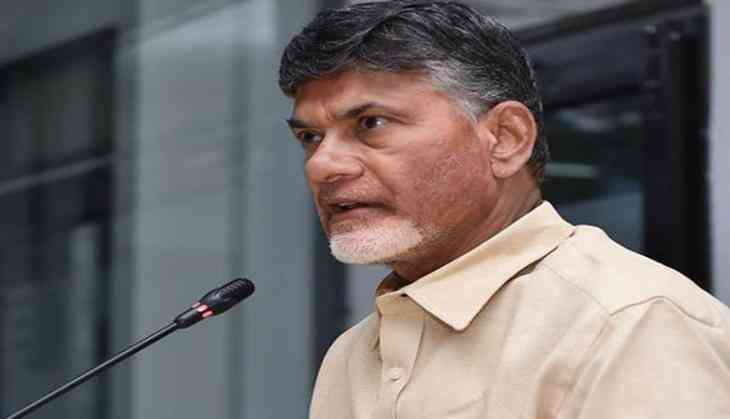 The Chief Minister said that the $10 billion project can be worked out under the Indo-South Korean Agreement, and instructed the Industries department and the Economic Development Board to prepare proposals under this project.Naidu invited all the business leaders to participate in the Partnership Summit to be held in Visakhapatnam in February.